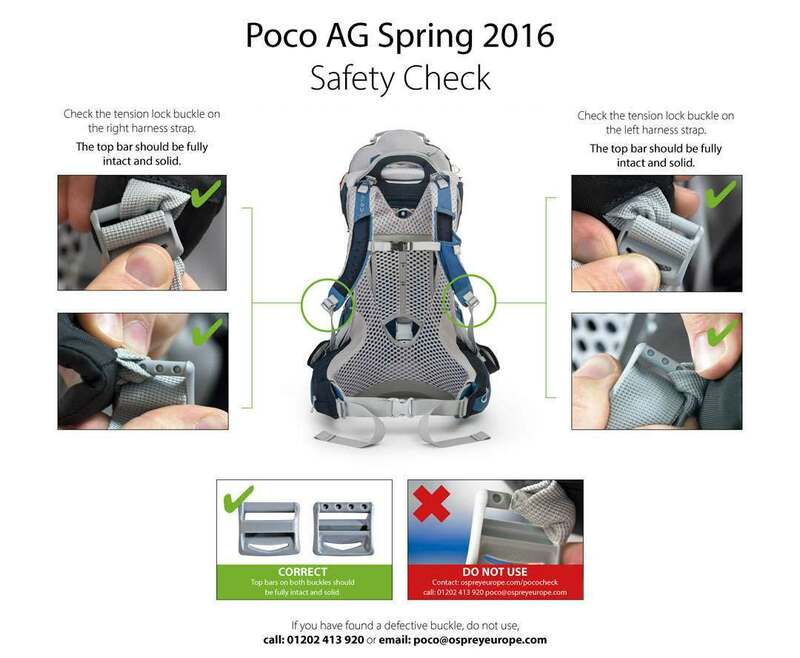 Osprey Europe advises customers to inspect their Poco AG Child Carrier due to a possible buckle failure hazard, which presents the risk of physical injury. Only Poco AG models (Poco AG Premium, Poco AG Plus and Poco AG) are affected and relate to product purchased between 29thJanuary 2016 and 3rd May 2016. All other Poco models (i.e. NON Poco AG) sold between 2012 and January 2016 are not affected. If you own any Poco AG product, stop using it immediately and conduct your own inspection in accordance with the instructions here. If correct, no further action is required, your Poco AG is completely safe to use. If label has a red dot, it has been inspected and is safe to use. 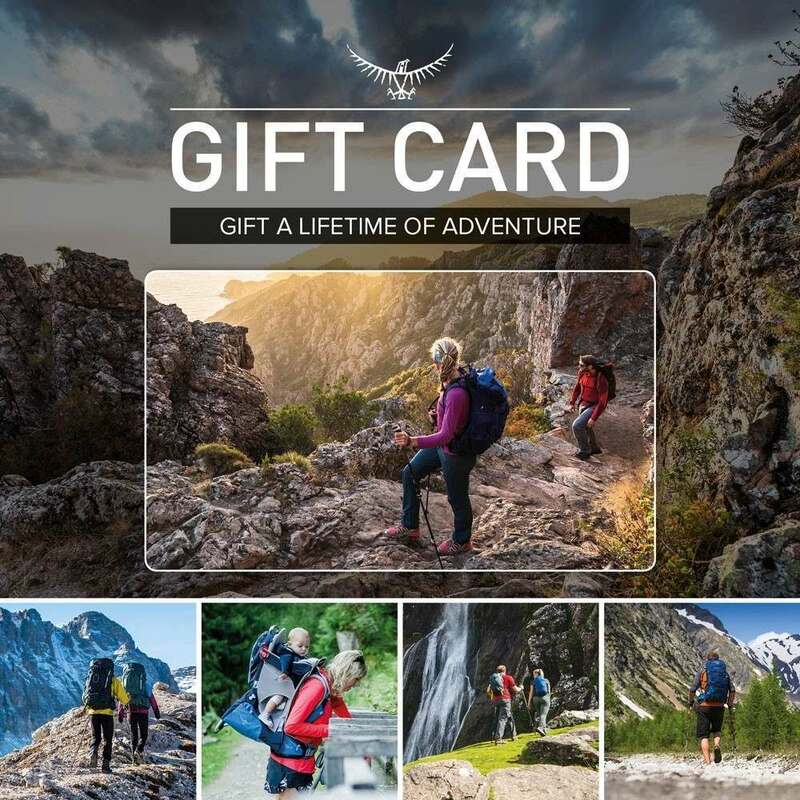 Osprey Europe would like to apologise for any inconvenience caused, but product safety is our primary concern. Poco AG bought after 12th May 2016 has been inspected by Osprey and is safe to use.